The UN World Water Day underscores the importance of freshwater and promotes sustainable management. This year, the focus is on the UN Sustainable Development Goal 6 (SDG 6), which aims to ensure the availability and sustainable management of water for all by 2030. With more than two billion people living without safe water and around four billion people suffering severe water scarcity for a least one month a year, achieving water for all is a huge challenge. And, coupled with a growing global population and climate change, it's likely to become even more challenging. Water allows life on Earth to thrive. The same water has existed for billions of years, cycling through the air, oceans, lakes, rocks, animals and plants and back again. The water we drink today may have once been inside a dinosaur! Our most precious resource is probably the strangest thing in the universe. Defying the laws of chemistry, it's the only known substance that can exist naturally as a gas, liquid and solid within a relatively small range of air temperatures and pressures found on the surface of Earth. Although there is no shortage of water on Earth, less than 3% is freshwater. Then the vast majority of this is locked up in icecaps and glaciers, leaving less than 1% available for drinking and other domestic needs, agriculture and industrial processes, and more. 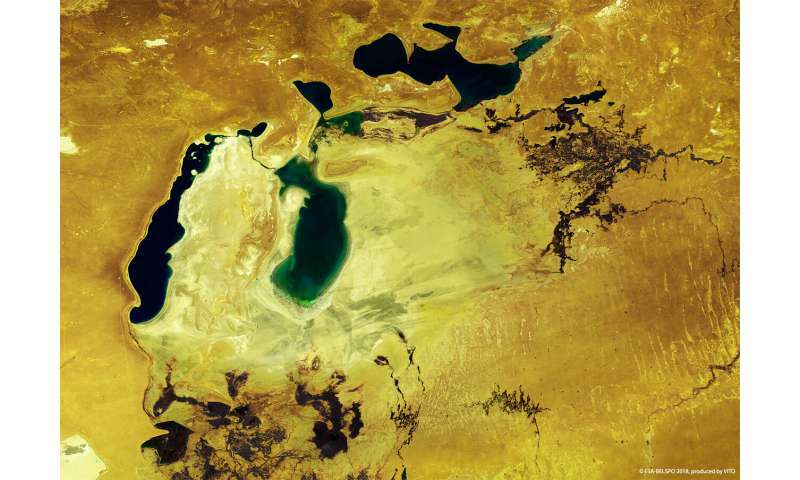 Freshwater is the single most important natural resource on the planet, but we are very rapidly running out of it – as illustrated by dwindling water bodies such as the Aral Sea. When abundant, water allows economies to grow, but in times of scarcity, it can cause life-threatening crises. 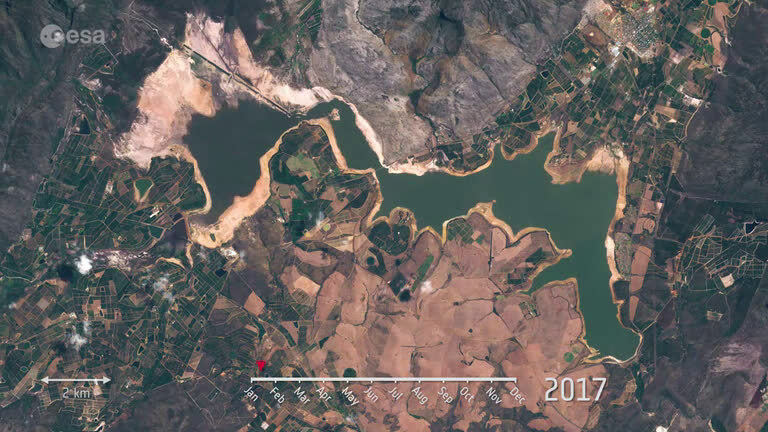 It has never been more important to manage water supplies effectively to make good use of every drop – and satellites orbiting the planet can play an important role in this process. 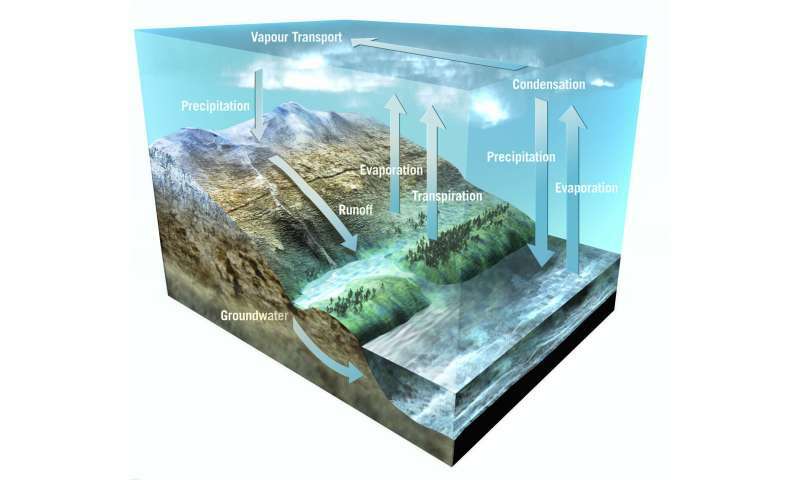 Thanks to satellites, we are better placed than ever before to understand and measure the processes driving the water cycle and the impact that climate change and human activity are having. They also allow us to measure and monitor, for example, the changing shape of lakes, reservoirs and rivers so that mitigation strategies can be put in place. A huge percentage – around 70% – of the freshwater drawn is used for agriculture alone. Satellites such as ESA's SMOS mission and the Copernicus Sentinels provide key information on soil moisture and crop health and this information can be used to improve the efficiency of irrigation practices. Data from the Sentinel-2 mission are key to the Copernicus Land Monitoring Service, which provides geographical information on land cover and its changes, land use, vegetation state, water cycle and surface-energy variables for a broad range of users across the world. Other organisations use satellite data in platforms, such as EOResearch Synergise's Blue Dot Observatory, so that users have easy access to information to monitor changing water bodies. Satellites such as Copernicus Sentinel-1, Sentinel-2 and ESA's CryoSat can also be used to monitor glacial change, which has a real impact on water supplies downstream. For example, part of the Himalayas, known as 'the third pole' – because these high-altitude ice fields contain the largest reserve of freshwater outside the polar regions – provides freshwater for over 1.3 billion people in Asia, nearly 20% of the world's population. We live in challenging environmental times, but we also have opportunities like no other time in history, where satellite technology can be used to deliver and share information with the world for the good of society at large. Video: World Water Day—what's space got to do with it?